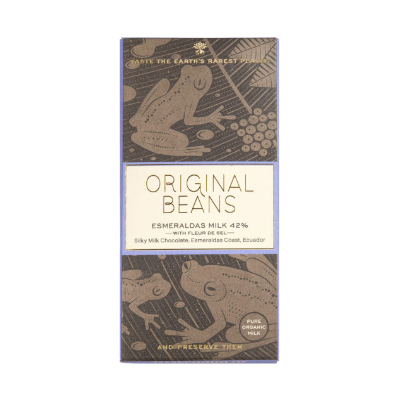 This chocolate doesn’t just taste great, but every time Original Beans sells a bar, it plants a tree in the Bolivian Rainforest. Phillip Kauffmann, the founder of Original Beans was previously at the WWF – and sees this as a continuation of his work. Eat a bar, and save the rainforest! Original Beans’ first foray into milk chocolate, Esmeraldas is made from fine Arriba cocoa beans from Ecuador and a touch of sea salt. 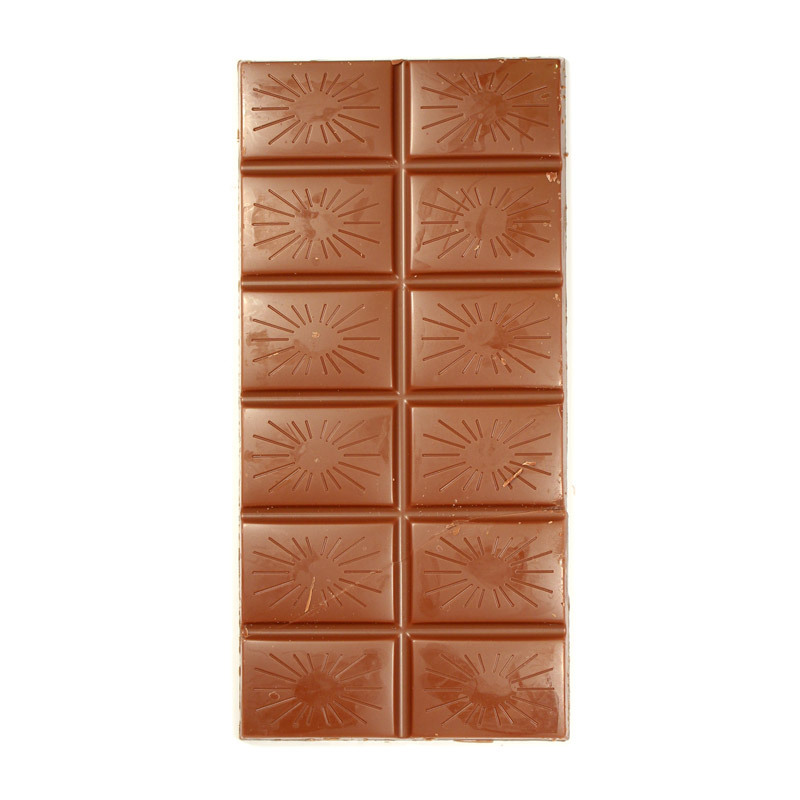 It’s a chocolate that’s difficult to put down with its creamy, sweet flavour and a subtle fruity note. This is yummy. Love the hint of salt. Delicious. Will order again. Everything you want from a milk chocolate bar. While these days I fear I am becoming somewhat of a dark chocolate snob (perhaps aided by cocoa runners! ), this overcame any prejudice I might have. The salt worked beautifully with the milk to provide that perfect texture, solid snap in the hand, followed by true melt in the mouth delicateness. The flavours melded together wonderfully and left me with a lingering after taste of sweet salt. A delightful treat. Excellent chocolate with a rich flavour, smooth and not too strong. Delicious rich lingering chocolate taste which is very satisfying. Didn't really want to share it and would definitely get again. Seriously brilliant milk chocolate. It has lovely caramel tones which aren't too strong or overpowering and hints of berries, I only tasted a sample of this which is good because I'd probably eat a whole bar in one go!